Woollyhugs > Latest.. > MN Blankets > The blanket for Creamhearts, also known as Fluffydressingown. The blanket for Creamhearts, also known as Fluffydressingown. All I can say is thank you, clearly there has been an immense amount of work, love and thought to producing such an amazing ,…. 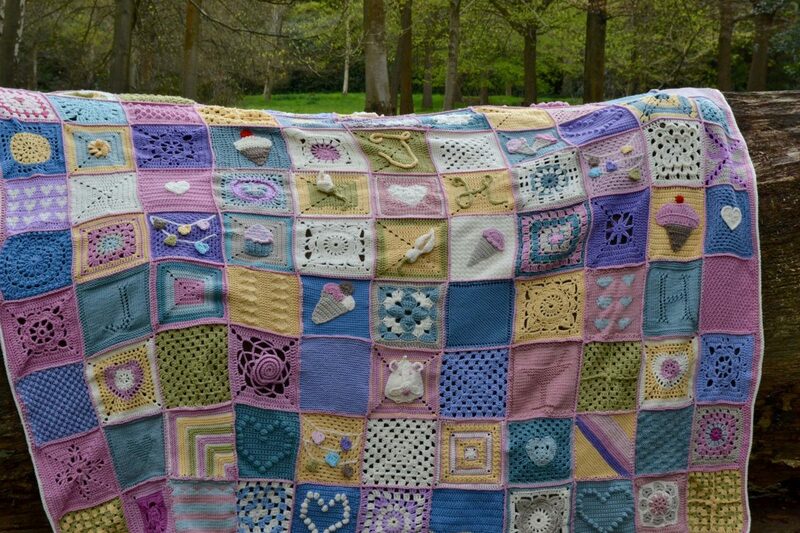 I’m not even sure what word to use, yes it’s a blanket, but really it’s a beautiful piece of art, just calling it a blanket is an injustice to the clearly huge amount of effort that has been put into making it. I don’t know how I can put into words now much I appreciate what everyone has done for me. Our original crafting thread is here.